Alberez, A.K.A Alby is a 19 year old Quarter Horse gelding. 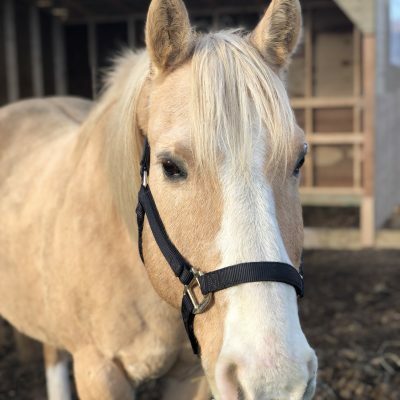 He stands at 14.2hh tall and is palomino. Alby joined the PARDS program in June of 2018 and is sponsored by Kev’s Kids. Alby’s medium build and height make him an all around great horse. He is used for lead line therapeutic all the way to independent public canter lessons. His adorable personality makes him loved by everyone who rides him and he enjoys giving his lessons just as much.